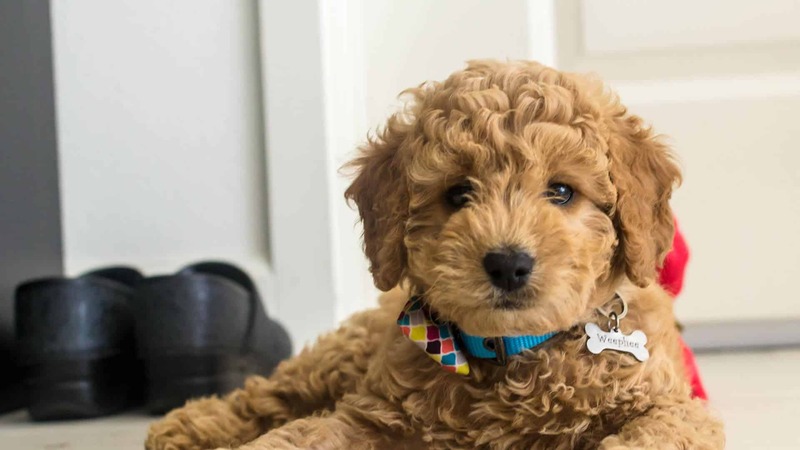 Are you planning to bring home a Miniature Goldendoodle as an addition to your growing furry family? Well, you won’t regret getting one! 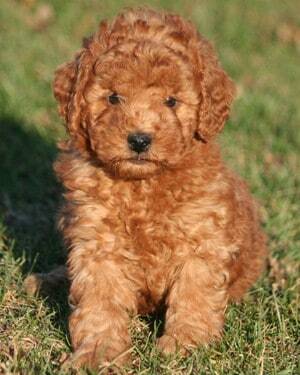 But of course, there are things you have to know first before getting a Mini Goldendoodle. Just like when you head out to the supermarket and go food shopping, you can’t just put all the groceries in your cart, especially when you’re buying them the first time. You need to check the labels and see what it is all about. The same thing when you pick out a loving and friendly dog. More crucial, though! It’s a prerequisite to know everything about it, so you can both live a happy and healthy life. 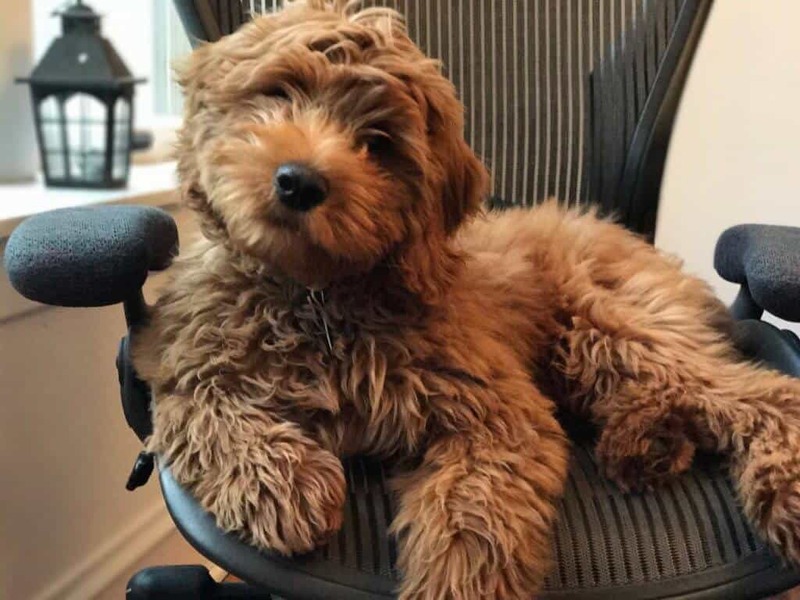 So, if you’ve decided to get a Miniature Goldendoodle, you should know every single detail about it: the behavior, grooming, feeding, and how it can cope perfectly with your family. We’ve listed 11 incredible facts that will definitely surprise you. Keep reading! Here’s a quick background. 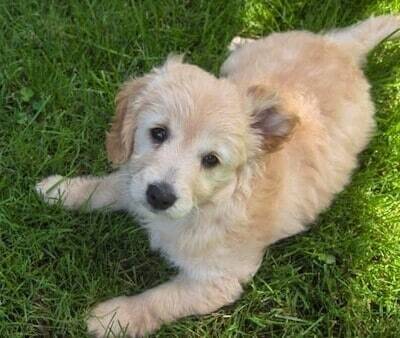 The Miniature Goldendoodle is an offspring of a purebred Poodle and a Golden Retriever. Apart from those adorable physical features and charming grins, you can expect a gentle, loving, and sweet companion from these furry babies that they’ve acquired from both of their parent breeds. When these two wonderful worlds collide, what behavior and personality will a Miniature Goldendoodle have? Fret not! We’ve got a list that will help you live happily with this hybrid. Before getting to that list, we have compiled a list of the best products for the Miniature Goldendoodle. Miniature Goldendoodles show a very gentle personality that many dog owners would truly adore. Just like their parent breeds, their affectionate nature makes them even more loving and loyal toward their owners and the people around them. Their wonderful characteristics encourage them to interact with everyone around them. It’s tough to get along with a dog more particularly when you don’t have any firsthand experiences on how to care for one. Perhaps, you have decided to adopt a dog for the very first time. That’s even more challenging. However, living with a Mini Goldendoodle won’t be as tough as you think it will be. 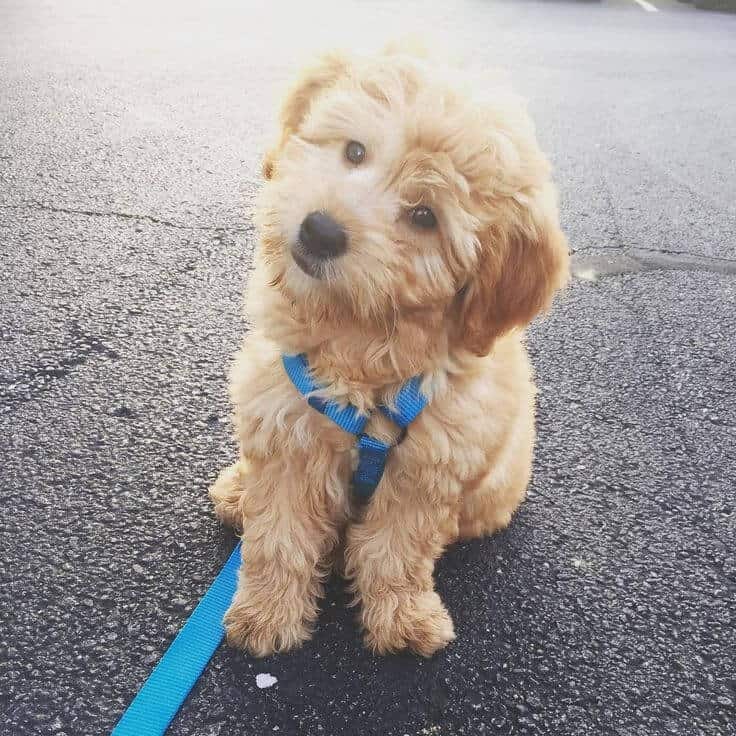 Whether you’re a beginner dog owner or not, a Miniature Goldendoodle easily adapts to living and will definitely make a great companion for you and your family for the longest time possible. These lovely darlings are unbelievably intelligent. They are very responsive toward training and other basic commands and tricks. You’ll definitely be left in awe! If you are pretty eager to help your dog learn new tricks and respond to other obedience exercises and everything goes well, you’d be happy to see positive results. Miniature Goldendoodles can even resist eating a treat unless you say so! Just like they say; hard work pays off. Some dogs can have a hard time coping with the members of the family. Despite being raised within the same environment, they sometimes feel distant toward the other members and the other dogs in the family. That can be pretty difficult to deal with. But Miniature Goldendoodles are a different story. If you’re planning to bring this adorable hybrid home together with the other furry family members and your very own family, there’s nothing much to worry about. These Miniature Goldendoodles make wonderful family dogs. They are very comfortable with humans and love to share the affection with everyone at home! If there is a super friendly crossbreed you can think of, that is a Miniature Goldendoodle. They won’t just get you with their adorable smiles and friendly faces, they are really very friendly with everyone and with the other dogs in your family. These dogs are exceptionally sociable even with the dogs they meet at the park. Although you may expect this kind of behavior toward strangers and unknown dogs, it still varies according to the training you provide them. Without proper socialization, they can show fear and shyness. Isn’t it frustrating to clean up all the hairs and furs from your dog every time your furry pal runs around the house, lies down on the sofa, or sleeps on the floor? That’s definitely a headache. No wonder many dog owners consider trimming their dog’s fur. With Miniature Goldendoodles, however, those light brown fluffy curls won’t be a burden. These dogs do not shed too much unlike the other breeds with longer fur. That’s why even dog owners with allergies can keep them. The shedding is minimal and sometimes, they don’t really shed at all. This crossbreed is very good for owners who don’t want to clean up a lot of messy hairy fur-balls all the time! Every dog needs exercise. But there are certain breeds or crossbreeds that require more than just the usual routine. German Shepherds, Labrador, Pit Lab Mix dogs, German Sheperd Huskies, and German Shepherd Rottweilers, are prime examples. These large breeds crave a lot of physical activities and exercise! Just like our Miniature Goldendoodles. 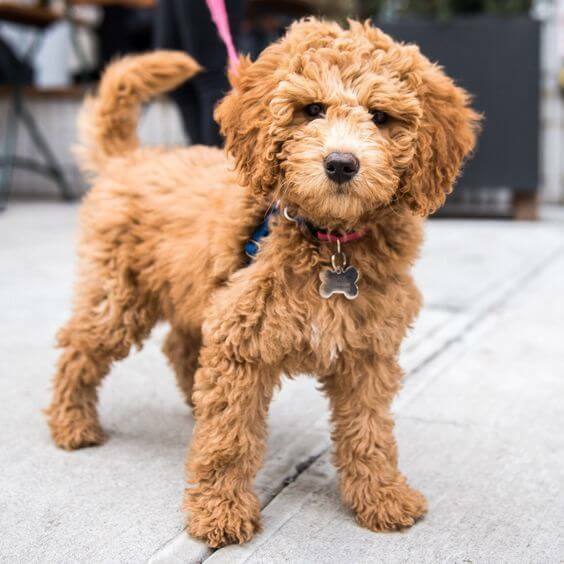 Miniature Goldendoodles have average energy levels that require regular walks and daily exercises. You can take them out for a run in a park or in the fields. If there’s a good and safe area in the neighborhood, you can play fetch or walk them around. The right amount of exercise and physical activities every day can help your dog be livelier, happier, and healthier at the same time. So, if you’re getting a Miniature Goldendoodle, make sure you have an active lifestyle to share with your fur-baby. Miniature Goldendoodles are prone to separation anxiety. They love to be in contact with humans all the time. You could say they are pretty much clingy, which can actually be a good thing. It’ll be always on your side. Hence, you should do the same thing. We’ve got obligations and other duties to attend to, but you should always make time to play and stay with your dog. These adorable dogs can’t take being left alone for long periods of time. Otherwise, they’ll suffer from separation anxiety and it can lead to a bigger problem in the long run. These dogs belong to a huge lineup of small breeds. You can keep your dog in shape if you’re feeding him the right amount at the right time. It depends on the age, size, and weight though. Always make sure that you feed your dog a high-quality dog food that will supply all the nutrition it needs. You can try some of the recommended dog food for Golden Retrievers and Poodles. 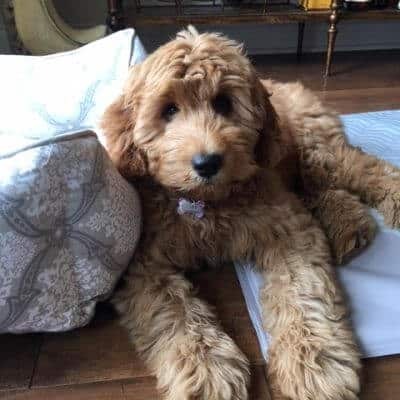 Considering their genetic breed, Miniature Goldendoodles can also be prone to health risks like gastric torsion and bloat, which they can get from their parent breed Golden Retrievers. That’s why they shouldn’t be given with a large full meal. Several small meals a day will do. You can bathe them but only when it is really necessary. Like when it gets messy and dirty after physical activities and playing in the mud, that’s a great excuse. Frequent baths can make its coat and fur dry and less smooth. But, hey! You can save a lot of dog shampoo and soap! Just make sure to brush their coat every now and then to keep their curly fur smooth, soft, and untangled. When it comes to their nails, you can also have them trimmed by a professional groomer or trim them your own with a use of a nail grinder as long as you know how to do it. Just don’t let those nails grow too long or else, it can contract dirt and other infections. It’ll be a pain for you, too! This is probably another important consideration to take. Families who have kids at home often hesitate to bring home a dog because of their known nature, of which is often misunderstood. It’s absolutely normal, though. Besides, these are our kids! That is why before taking a dog home to live together with your kids, it is a must to know how it can cope well with them. In regards to Miniature Goldendoodles, they can get along with children very well. But of course, you still have the responsibility as the owner and fur-parent to train your dog to socialize with other members of the family, especially with your children. Although it is part of their personality to be incredibly friendly, gentle, and loving, proper socialization makes a lot of difference. So, if you really want your dogs and children to get along with each other perfectly, you should always supervise them. Dogs who are interrupted while eating and sleeping usually give out an aggressive response. Hence, teach your children not to take their food away, disturb them in their sleep, or while they are eating. Safety first! They might be highly responsive to training and basic commands, but these Miniature Goldendoodles don’t make great watch dogs. You can’t always expect them to be protective of you in front of the other dogs or strangers when you’re in the neighborhood. These lovely dogs, like their parent breeds, are like prima donnas. Calm and quiet most of the time, exuding confidence and grace. This breed does not bark aggressively and frequently like other dogs do when they hear a squeak or scratch. They are very friendly to everyone and you can’t train them to be guard dogs as much as you want to. When a stranger visits you in the house or approaches you on the side of the road, it will just be all calm and happy to meet someone. Like a new friend! Miniature Goldendoodles are indeed one of the best crossbreeds that you can live with. If you have a family living with kids and other dogs, these beautiful fur babies would be a great addition to your family. They show a gentle, loving, and loyal personality that would make you love them even more. Although you may not expect them to be excellent watch dogs in your home, they’ll definitely be an excellent furry companion that you can share your happiness and love with for a long time! 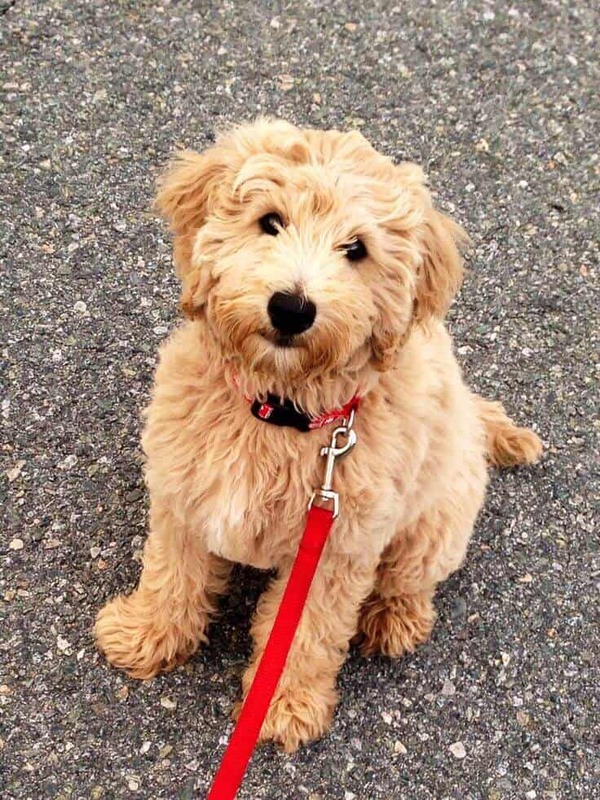 Has this article helped you with your concerns and questions about your Mini Goldendoodle? I hope it has! But if you’ve got more questions and interesting stories to share, write them in the comment box below. We’d love to hear them all! 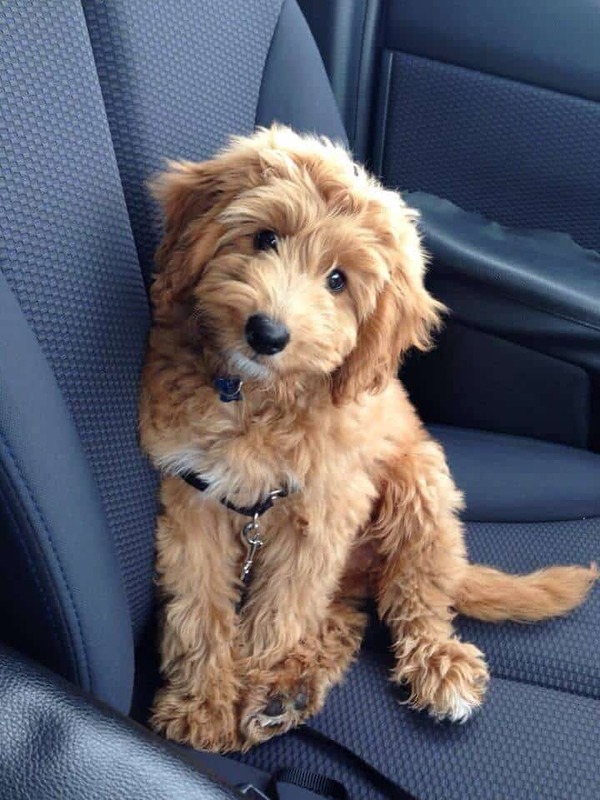 Where can I get a mini Goldendoodle? ?